Whatever the reason may be for the replacement, when you need new auto glass, you need to make sure you choose a reputable company with experienced technicians and trusted auto glass installers. But honestly, there are a few more things you should look for when choosing the best auto glass installer to do your repair or replacement. Here are some often overlooked or understated factors that you may want to inquire about from any company that provides auto glass repair and replacement services. Getting your vehicle to the auto glass installer is not always easy. You should not drive if there is a crack in your windshield that impedes your line of sight, or you may just have a busy schedule with not a lot of free time. A company that offers mobile repairs and installations can be just what you need to get your car back to full functionality. A company that offers mobile installation services understands that not everyone can have the free time necessary to drop off their car at an auto glass repair shop; really, have you ever met a person who actually does have the time and resources to do that? So, a company that offers services wherever your car may be at the moment is something you should really look for. While the auto glass industry as a whole is relatively unregulated, there are quality-assurance and continuing education associations that make a point to provide confidence to consumers. One is the Auto Glass Safety Council. Another would be the National Glass Association. A company that is registered or certified by either (or both) of those associations can give you peace of mind when you choose them for the work on your windshield. It provides a proof that the company you choose is using the top safety standards and newest technologies to repair or replace your auto glass. Another factor to consider when hiring auto glass installers and their company to work on your vehicle is whether they work with insurance companies. Many auto glass repair and replacement services are covered by common insurance policies. If your auto policy includes these services, you may consider filing an insurance claim for your auto glass repair, rather than paying out of pocket. 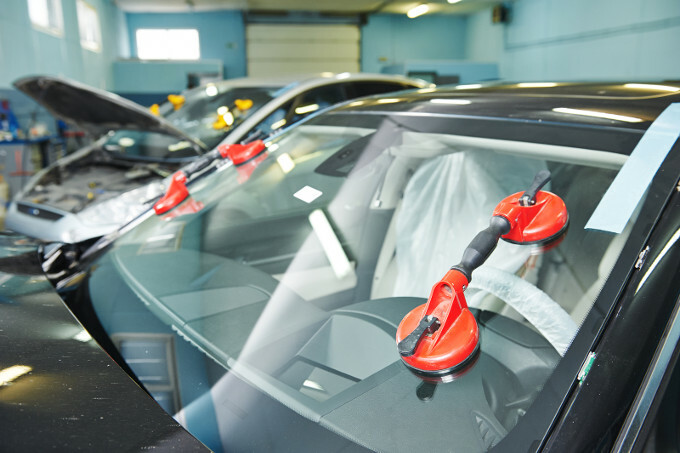 An auto glass company that has experience working with insurance policies to get their clients’ windshields replaced or repaired means that you have as many options as you need for the best service possible for your situation. So, if it’s time to get a broken window or windshield fixed on any of your vehicles, give Advanced a call! We are involved regularly in industry associations and certification programs, and we work with many insurance companies to ensure you can afford your auto glass repair. There is no reason why you should put off necessary glass repairs; it could be dangerous, and is an unnecessary risk. So, before things get out of hand, give Advanced Auto Glass a call, and get your windshield fixed with less hassle and stress today!